Get to know the haunted history of Savannah on this 90-minute evening walking tour. 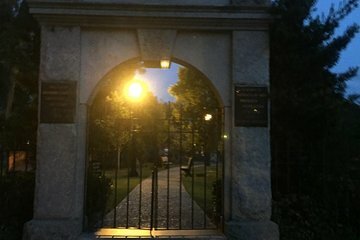 Follow your guide through Colonial Park Cemetery, the city's main burial ground for the last century, to hear creepy stories and haunted history. The tour will return to the Colonial Park Cemetery. We had a hard time finding a parking spot and our guide waited until we did making us a few minutes late. She was fun and very informative !